KATHMANDU, Aug 20: Minister for Culture, Tourism and Civil Aviation, Rabindra Adhikari, has directed Civil Aviation Authority of Nepal (CAAN) to bring Gautam Buddha International Airport (GBIA) in Bhairahawa into operation within Fiscal Year 2018/19. He also directed the civil aviation regulator to complete the terminal building expansion and runway rehabilitation project of Tribhuvan International Airport within the current fiscal year. Speaking at the annual progress review program of FY2017/18 organized in Kathmandu on Sunday, Adhikari also said that the government was committed to complete preparation work for Second International Airport (SIA) in Nijgadh of Bara at the earliest. At the meeting, he also instructed agencies under the ministry to complete preparation for implementation of projects that they have initiated. “Random planning will not yield results. I request one and all present here to make concrete plans for project implementation by mid-September,” he said, expressing dissatisfaction over lack of data for project implementation. He expressed dissatisfaction over failure of the Nepal Tourism Board (NTB) to include data of tourists coming via land routes in tourist arrivals figures. “It is unfortunate that we are still giving priority to tourists coming via air. All kinds of tourists should be included in our statistics,” he said, directing Nepal Tourism Board (NTB) to do the needful for enumerating tourists entering the country via both surface and aerial routes. According to the annual progress report of the ministry, the total contribution of tourism to the Gross Domestic Product (GDP) was 2.6 in FY2017/18. Likewise, the tourism sector created 120,000 jobs in FY2017/18, while aviation and cultural sectors created 95,000 jobs, the report shows. 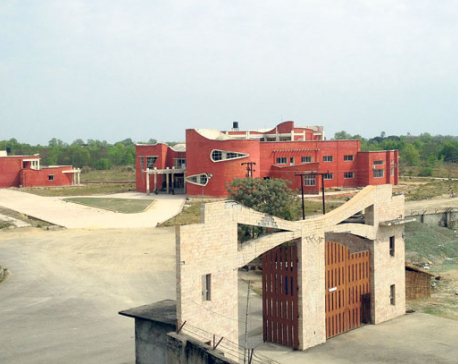 Lumbini Development Trust achieved 100 percent physical progress, while Pashupati Area Development Trust (PADT) achieved only 65 percent physical progress in the review year. Commenting on the report, Minister Adhikari instructed officials of PADT to speed up renovation work at Pashupatinath Temple premises. The report shows SIA and Pokhara International Airport projects achieved work progress of 39.44 percent and 15 percent, respectively. Similarly, GBIA achieved 80.88 percent physical progress. 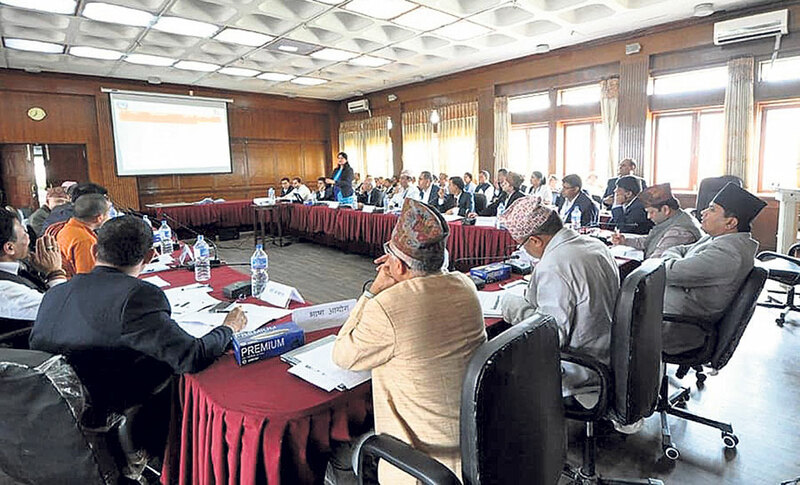 Responding to the progress review, a representative of National Planning Commission (NPC) requested the ministry to find out the reason behind low progress in some projects. Similarly, a representative of the Office of the Prime Minister and the Council of Ministers told Adhikari to regulate homestay business which is growing by leaps and bounds in recent years.